Just what is the special ability that sets great chess players apart from other men has long been a topic of intense speculation. Unfortunately, very little scientific work has been clone on the question. The major stumbling block has been that psychologists who have worked on the question, like Binet. have not been first-rank chess players and so have not had direct access to the mental processes involved in grandmaster chess. On the other hand, chess players are not usually first-rate psychologists. There is one important exception to this rule - a man who has produced a remarkable book in this area. This is Dr. Reuben Fine, one of the great chess players of this century (he has played on equal terms with Botvinnik, Reshevsky, Smyslov, and others) and a qualified psychoanalyst. 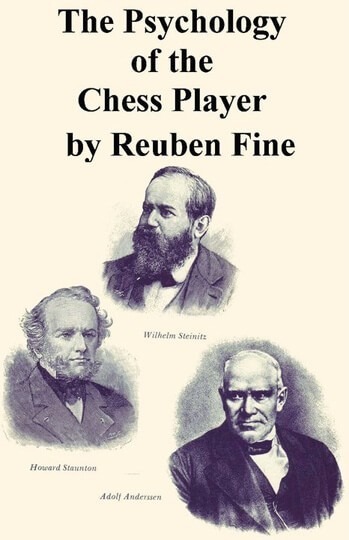 Dr. Fine has called upon his own understanding of chess processes and his unrivaled contacts in the chess world in this attempt to analyze both the game of chess itself and its peculiar appeals, particularly to male players as opposed to females, to isolate its inner meaning, and to categorize and understand the special combination of characteristics that make tip a chess champion. Some of the great players studied here, such as Lasker, Capablanca, and Botvinnik, Dr. Fine has known, both in terms of chess and as personalities. He discusses other great players of the past, Staunton, Andersen, Morphy, as their personalities are revealed in books, articles, and legends that have grown up about them. The result is an unexpected synthesis, far from a simplistic answer to the basic question, which describes what these men did and did not have in common. All in all. Dr. Fine's searching analyses make an absorbing book - brilliantly written, sometimes controversial, always stimulating.